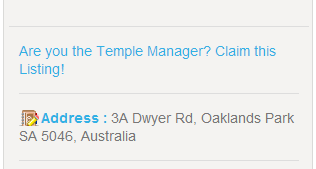 Are you a Temple Manager or knows someone who is one? Do you manage a temple listed on this www.allhindutemples.com ? Is all the information about your temple on the listing correct? Do you have any Updates/Pictures / event information to share with your devotees ? 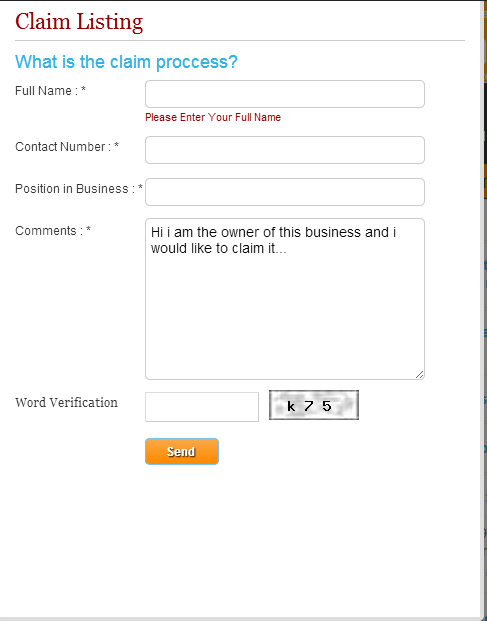 Once registered you can claim the listing by clicking on the “Are you the Temple Manager?” Link. Fill in this Quick form and give me a quick explanation of your association with the temple : Are you a Volunteer / Employee / on a committe etc? Once done, we will review the Claim and grant You ownership of the listing which means then you can update the listing as you like with pictures and other info. You can also add Temple Events and Functions so everyone that uses the directory can know about it. If you registered with an email address from the Temple’s domain that we have on file any changes you make will be automatically approved. Alternatively, just leave a comment on the listing for your Temple and it will be sent to the moderators for approval, if you registered with an email address from the Temple’s domain that we have on file any changes you make will be automatically approved. Else It will be updated as soon as we can get to it. WHY List on All Hindu Temples? Greater Exposure: With over 1500 Hindu Temples in 50 countries all over the world, AllHinduTemples.com is the definitive site for Hindu Temples all over the world. Coming soon as a dedicated APP to Ios : App store. We are by far the biggest Hindu Temples directory website ranking highly on Google and other Search engines so this is a 100% free opportunity for you to list your temple here and help more devotees find you. Ease of use / Mobile responsive and 100 % uptime: We pride ourselves on being Fast, efficient and simple making it easier for visitors to find Hindu temples. List Events, Detailed listings with Photos , rich media and graphics 100% free. All the currently displayed information was sourced from publicly available information and is being presented only to make it easier for devotees to find and visit Hindu Temples. To know the back-story of this site, see our about page.